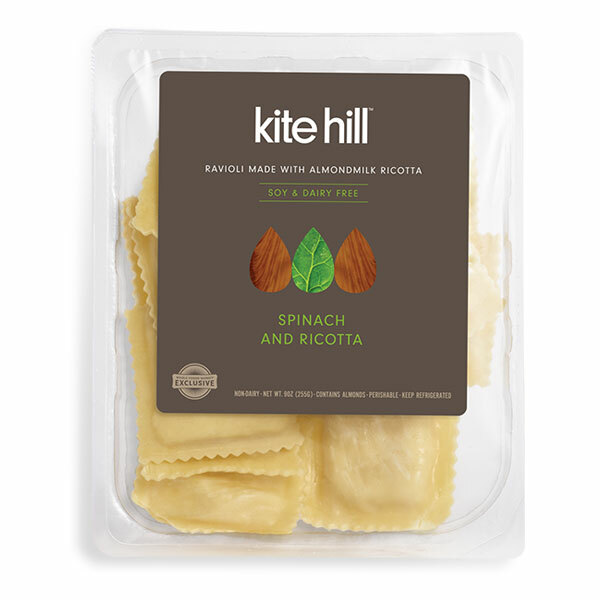 Description: In our spinach ravioli we balance the sweet flavors of our whipped ricotta, fresh garlic and sautéed spinach. We fold that into a hand made dough produced by local artisans. Ingredients: Filling: non-dairy ricotta cheese (almond milk [water, almonds], salt, enzymes, cultures), spinach, breadcrumbs, roasted garlic base, garlic, salt, black pepper Pasta: durum flour, water, beta-carotene.